When Finance Minister Shankar Koirala presented the annual budget last July, he highlighted “projects of national pride” that he said would be the “lifeline for the economy”. 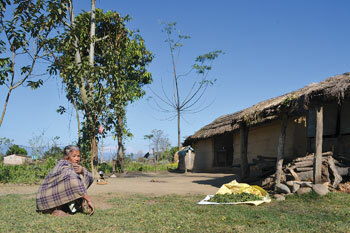 Besides hydropower and irrigation projects, he unveiled the East-West Electric Railway and the Tarai Hulaki Highway. No one would argue against more efficient mass transit along the Tarai, but the proposed route of the two projects cut through Chitwan National Park, threatening tourism and decades of conservation that has rescued the tiger and rhino from the brink of extinction. On paper, the idea of upgrading the East-West Highway completed 30 years ago makes sense, since more than half the country’s population now lives in the Tarai and the plains provide easier connectivity than the mountains. All proposed alignments of the new railway, however, would slice through the sanctuary. Chitwan Valley lies in the Inner Tarai and unlike other parts of southern Nepal, does not have plains bordering India to its south. The national park and its buffer zones therefore lay astride the proposed railroad alignments. “What will remain of the national park when we have trains passing across the protected areas in 10 years?” rues Chief Warden Kamal Jung Kunwar of Chitwan National Park. A feasibility study prepared in 2010 for the East-West Railway first took the tracks along the foot of the Someswor Hills near the famous Tiger Tops Resort in Meghauli. But that region is an important corridor for wildlife migration and the national park objected to it, proposing that the railway alignment follow the current Hetauda-Bharatpur road which skirts the park. A leaked detailed project report (DPR) prepared by the Department of Railways and obtained by Nepali Times shows various routes have been proposed, all of which cut through the sanctuary (see online). 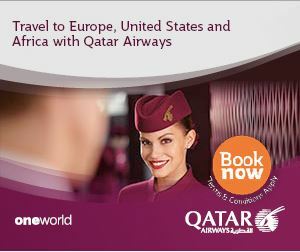 One of the routes involves digging two tunnels 14km and 11km long, but has been abandoned because of cost. The report most favours an alignment that will take the railway south along the Madi to Jagatpur track, across the Narayani in Amarapuri, then south-west across the Chure Hills to Tribeni (see map). Chief Warden Kunwar doesn’t understand why the railway has to go through the park at all when it could easily follow the existing East-West Highway. He says the impact of the road and railway would be what has been seen on the Tikauli jungle corridor where traffic has seriously disturbed wildlife. “If we cut the national park into pieces with road and rail, it will discourage animals from breeding and reduce the number of tigers and rhinos,” he says. 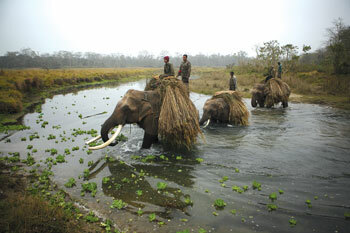 Eco-tourism activists are also worried about the potential impact of a reduction of wildlife and drop in visitor numbers to Chitwan. More than 150,000 people visited the national park in 2013, bringing in revenue of over Rs 177 million in entry fees alone. Leaked portions of the east-west railway DPR. The department doesn’t seem to want to follow the exiting East-West Highway because it will add about 30km to the length and prefers a shortcut through the park. If that happens, the question will be which route would be the least harmful to the reserve. In the future, Bharatpur will be a strategic hub for not just east-west transportation, but also the shortest rail connection between Uttar Pradesh in India and Kerung in Tibet. Already five km of railtrack has been commissioned westward from Simara and the department is requisitioning land along the proposed route and five border links to Indian railways. Jhamak Karki, former chief warden of Chitwan National Park, was labelled ‘anti-development’ when he protested the construction of the bridge connecting Ghailaghari and Kasara in 2001. Two years later, the Rapti River flooded the bordering Jagatpur VDC killing nine and destroying 10km of canal, 180 metres embankment transmission line, and 10km of National Park fencing. The current chief warden of the park, Kamal Jung Kunwar, now worries that bridges being built for roads and railways might overlook social costs in the name of reducing construction costs and there might be a repeat of the Ghailaghari tragedy. 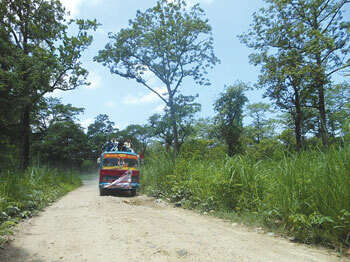 open highway: A local bus coming from Madi to Bharatpur inside the Chitwan National Park. 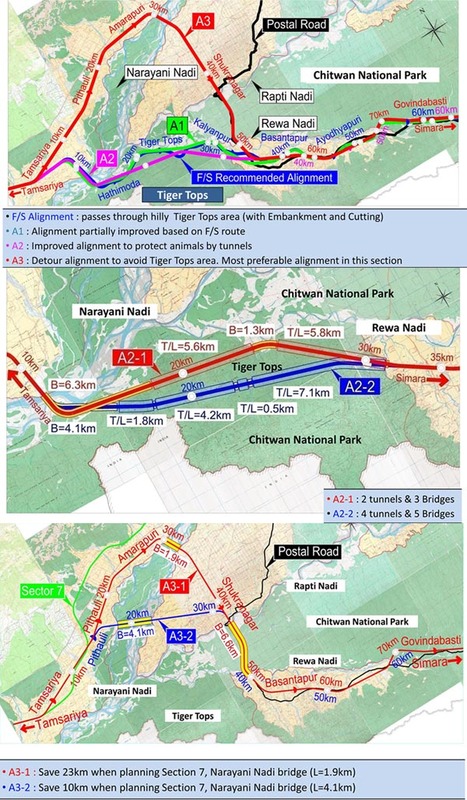 It is not just the prospect of trains roaring through the Chitwan National Park that is giving conservationists nightmares, it is the construction of feeder roads that will soon crisscross the sanctuary in eight locations (see map).The Ministry of Infrastructure Development awarded a contract for a bridge across the Narayani inside the reserve for the road, but after the park objected, the bridge was shifted further upstream. “Upgrading the feeder roads around Chitwan and Narayani River will cut through the national park and the government is trying to circumvent the Environmental Impact Assessment and Strategic Environment Assessment despite our constant reminders,” says Chief Warden Kamal Jung Kunwar. The Hulaki Road network is an Indian-assisted project launched in 2006 and entails upgrading old postal and feeder roads, totalling over 1,450km across the Tarai. The Rail India Technical and Economic Services (RITES) is involved in the Rs 11 billion project that is designed to improve connectivity in the Tarai. Project chief Bijendra Bade Shrestha insists that the proposed route of the feeder roads in Chitwan National Park can be changed based on an Environment Impact Assessment. 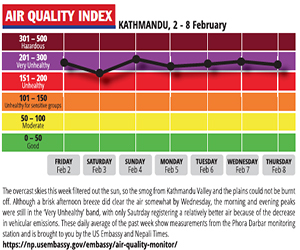 Shrestha says his office has asked the park to conduct the study, while Kunwar says he has received no such request.